December 14-15, 2017 in Milano (Italy). 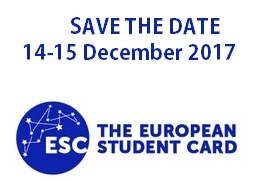 On 14-15 december 2017, the 3rd physical meeting of the ESC project organized by EDUCatt will take place in Milano (Italy). The conference will gather core and associated partners as well as universities involved in the experimentation. Registrations will open soon so block the dates!